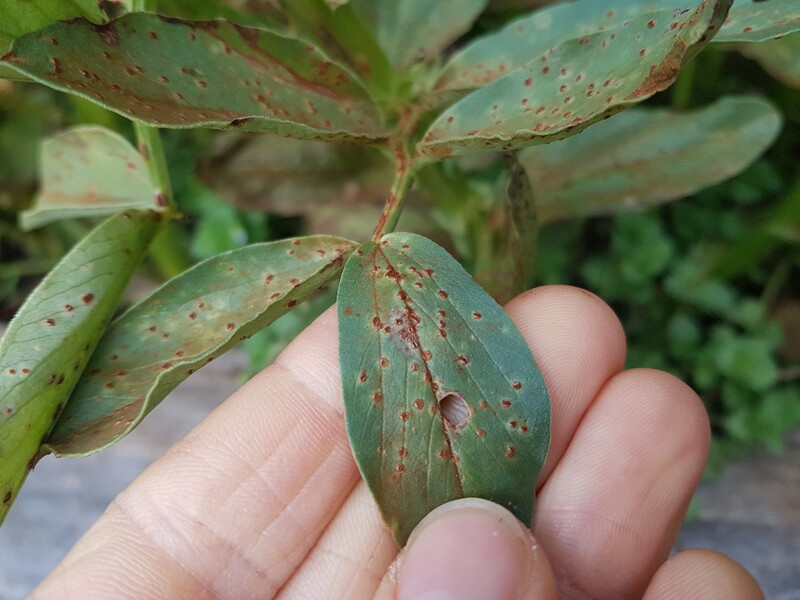 Our little broad bean crop has rust caused by the pathogen Uromyces viciae-fabae. I noticed it weeks ago and despite my best intentions, didn’t get around to treating it in its early stages. Where does it come from? Generally from infected seed. We did introduce some new seed this year and suspect it came from here. However, it also travels on wind – so it could arrive from your neighbour’s garden. 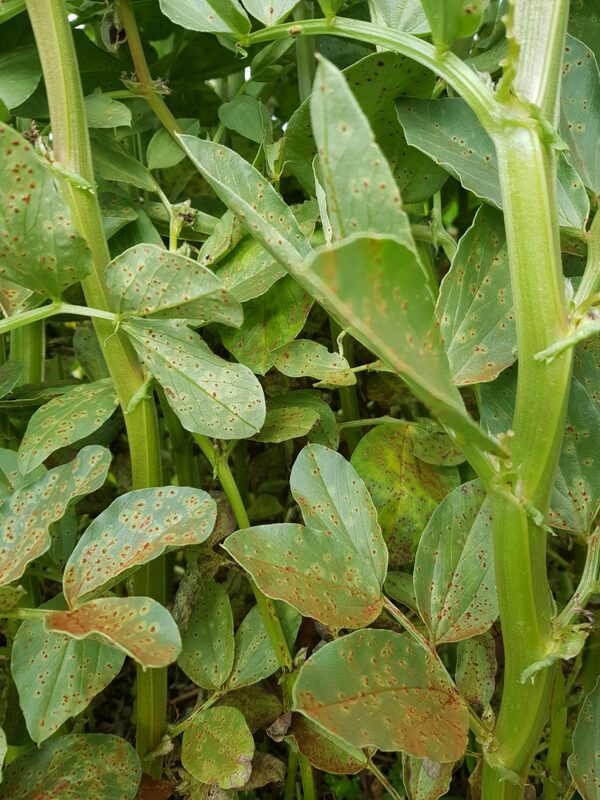 Prevention of rust includes making sure there’s good air flow in the crop, having clean seed and treating it as early as possible. Two DIY treatment options include spraying the infected plants with 1 part milk to 10 parts water – this is the same mix used on powdery mildew for zucchinis, cucumbers and other members of the cucurbit family. The second option is mixing up 2 litres of water, adding a few drops of vegetable oil (or other type of oil), a couple of drops of dishwashing liquid and 4 teaspoons of bicarb. Mix well and spray on infected plants. The bicarb soda makes the leaves alkaline which can prevent fungal spore development. 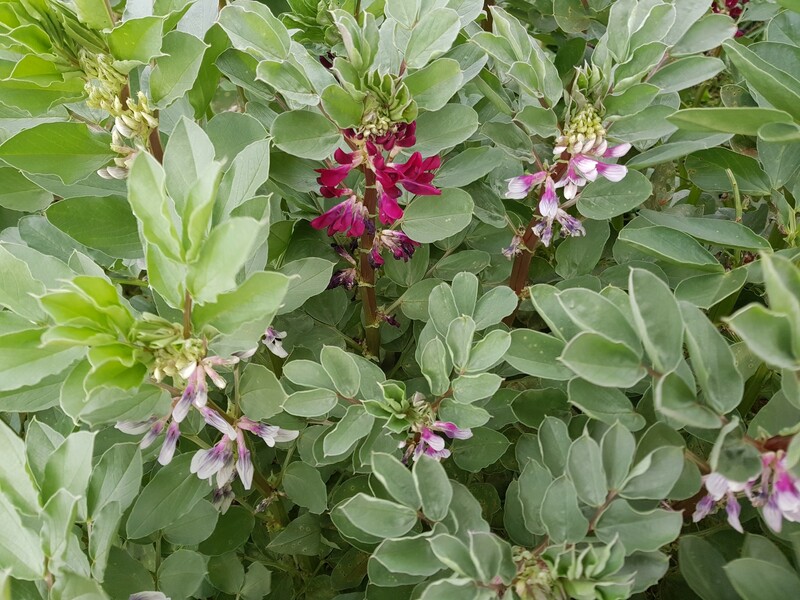 Importantly, you need to apply these treatments when its not raining heavily (or about to) so they have a chance of sticking around on the plant surface long enough to be effective. 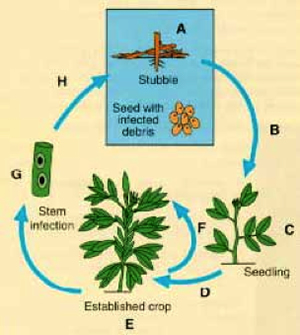 This diagram on the left from Agriculture Victoria outlines the life cycle of the rust and really emphasises the importance of having clean seed to prevent it from recurring season after season. We wont save any seed for planting from this crop. Instead will harvest what we can, eat the beans (fresh and dried) and make sure the plant matter is taken out of our nutrient cycling systems in our property. We’re fortunate to have a local council with a commercial composting facility – this is where we take any diseased plants as their large, hot composting eradicates any pathogens so aren’t passed on into the mature compost product. 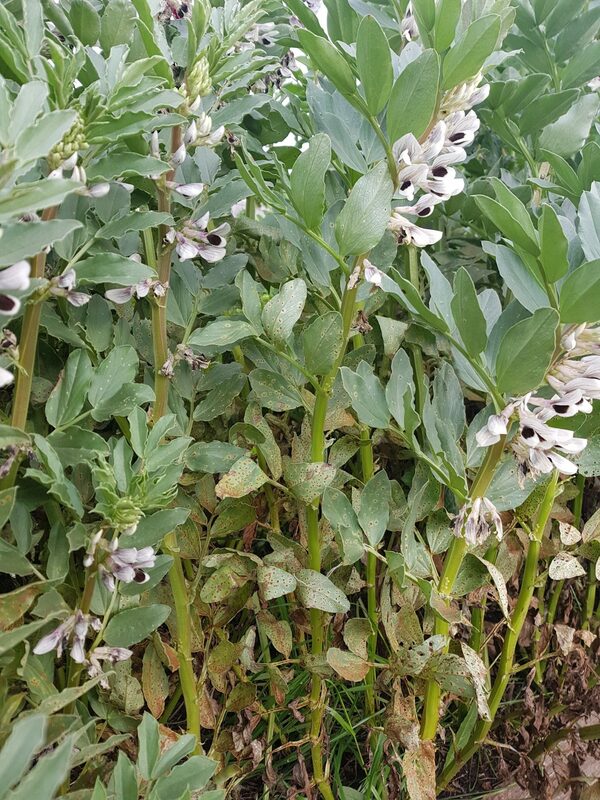 As our plants are predominantly being impacted at their base, I’m hoping the hundreds of flowers up top have a chance to turn into beans before too much rust spreading occurs. Fingers crossed. We’d love to hear about any treatment options you’ve had success with – so comment below to share the goodness :-).